Hikari wrote: I could go gender neutral, but I already kinda have a few names I'd like to name it that aren't. I'm patient, and it's not like a dog that needs one so it can learn it. Two of my snakes don't have names yet either, and my ball python took me like three months to name. They'll all get one eventually. They all at least have some nicknames in the meantime. Yep no rush I’m always like I have to name them the day they come home haha! 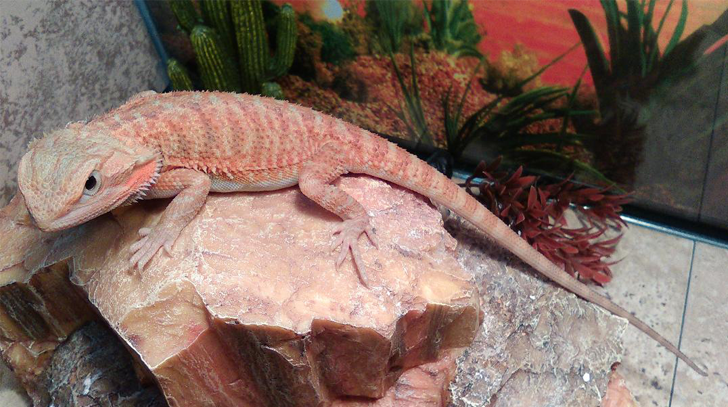 It's a hypo trans leatherback, and it was the brightest colored beardie in the shop. I really love the oranges. They actually are a little bit brighter IRL than this pic shows. He/she is a gorgeous little Beardie! very nice coloring, If you post a pic of its tail arched up at an around 90* angle we could try and see if it's male or female, once you get the hang of knowing what to look for it's really easy to tell their genders. Oh my what a gorgeous creature!! I love the look you are getting from her/him!! HippieLizards wrote: He/she is a gorgeous little Beardie! very nice coloring, If you post a pic of its tail arched up at an around 90* angle we could try and see if it's male or female, once you get the hang of knowing what to look for it's really easy to tell their genders. I'll take you up on that offer too. Not the most glamorous view, but here you go. KevinsMom33 wrote: Oh my what a gorgeous creature!! I love the look you are getting from her/him!! Thanks! Yeah, didn't seem too thrilled to be getting its picture taken. Like...how dare I interrupt basking time by hovering the weird rectangle at it? She's like "how dare you call me lizard, hooman"
looking like a girl name: Lizzie? Victoria? Ozzy? Sydney? Mines a normal. only thing ‘special’ is he is citrus which isn’t really special anywhere but over here in nz where we have no morphs at all and only 2 breeders of citrus so barely any citrus around. Flame is very pretty. Gonna be interesting to see them as an adult. Thanks for helping me out with that! Girl, huh? Well, that narrows the potential name list considerably (most of the ones I was considering were for a male). I'm thinking Citrine might be a cute name. I like gemstones, and she's the color of one. GIRL!! 👏 lol you have got yourself a female Beardie. Scarlet, Ash, Lily, Hermione (Harry Potter), Cisco (The flash, not exactly a girl name but I had a female dragon named Cisco), and Caitlin (The flash). Storm, Mystique, Nebula, Gamora, Phoenix, Rogue, Valkyrie, Psylocke, Elektra, Moonstar, Moondragon, Reptilla, Hela, and Shuri. Good luck on names and such! First off, as someone who isn't a marvel fan (nothing against it, just not a huge fan lol) I am slightly embarrassed by how many of those I recognize. 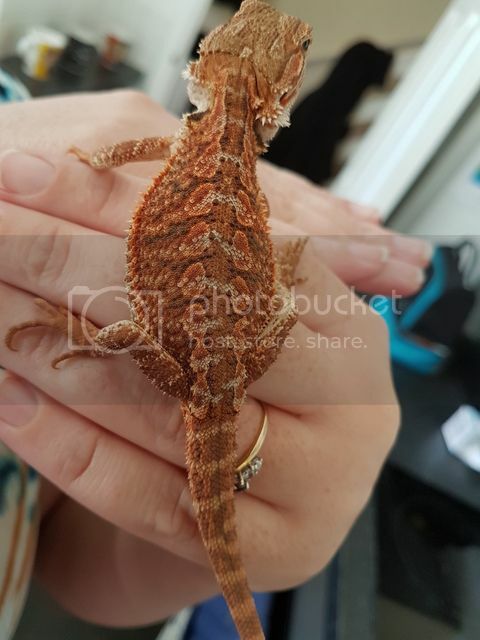 Secondly, even after having a normal that didnt cost much of anything ($35), I still want to go after a red for my second beardy. Last edited by MarlowAndMe on Sun Jan 13, 2019 3:19 pm, edited 1 time in total.